I'm about to be in baby zone so I figured I should stop a minute and write down some thoughts on pregnancy for any of you interested, and also for myself. I hear "pregnancy brain" doesn't go away when the baby comes and I may forget (likely will) what this pregnancy has been like. Don't read too much. There is way too much information out there. Sure, it's fun and exciting, but it can also stress you out and make you worry about things that are super rare. Don't ask if you look pregnant. You don't, and probably won't for 6 months or more. Sleep and don't feel bad about it. You'll sleep like the baby growing inside of you. Take advantage of other people cooking for you when you can't stomach cooking yourself. Cravings aren't for everyone. I wanted milk and grilled cheese, and eggs, and burgers, and for about a week I really wanted Mexican. I also wanted Trader Joe's boxed mac and cheese a lot. Really though, we're talking basic food. No crazy pickles and ice cream going on here. Get excited- your hormones are all over the place. Joy. You will start to look pregnant and get really excited about this. Even so, keep wearing all the clothes of yours you can. You'll soon be too big for anything but prego clothes and get very over them come months 8 & 9. You'll get some energy back and it will be glorious. You'll hopefully worry less because you can now tell people you're preggers and your baby will keep growing and developing to a point where it could survive outside the womb. You'll be able to eat more normal food and branch out from first trimester restrictions. Baby is coming soon. Therefore, you're allowed to nest and think about the nursery and want to get settled. Don't get overwhelmed with baby "stuff." Think about what you'll need for the beginning and go from there. Ask people if you can borrow things they aren't using anymore- nursing pillows, prego pillows, baby play mats, exersaucers, clothes, etc. My wardrobe has been supplied by friends and 1 stop about 6 months ago to Old Navy. Sharing is caring. 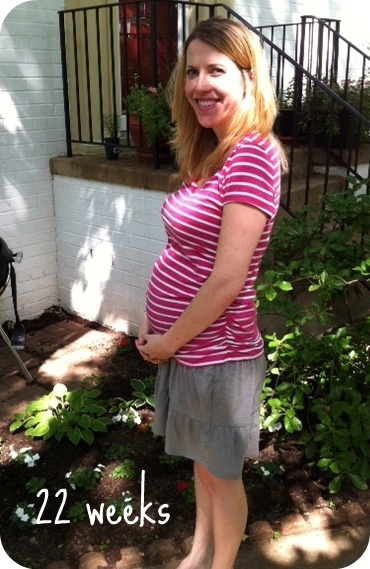 Be thankful for baby showers, but know it's normal to think, "Holy Cow, I'm having a Baby!" Enjoy ice cream. It's a new food group to you after all and your baby needs calcium. Right? Right. Be thankful for your developing baby, even when all it's doing is plumping up and you're still wondering how exactly it's going to get out and meet you. Take childbirth classes, breastfeeding classes, and a hospital tour. All helpful, but also take some things with a grain of salt. Again, there's too much information out there. Don't get overwhelmed when people are telling you tons of information without you asking. They are caring for you, even though it may become annoying and again, overwhelming. Your hormones are still all over the place. It's ok to cry often. Nap when you can. 10-12:30 pm? 6-8:30 pm? Both logical napping times at this point. Have I mentioned ice cream? Try in milkshake form as well. Suddenly all your lactose intolerance issues have gone away. Keep taking your prenatals, DHA pills, and probiotics. Love me some probiotics. 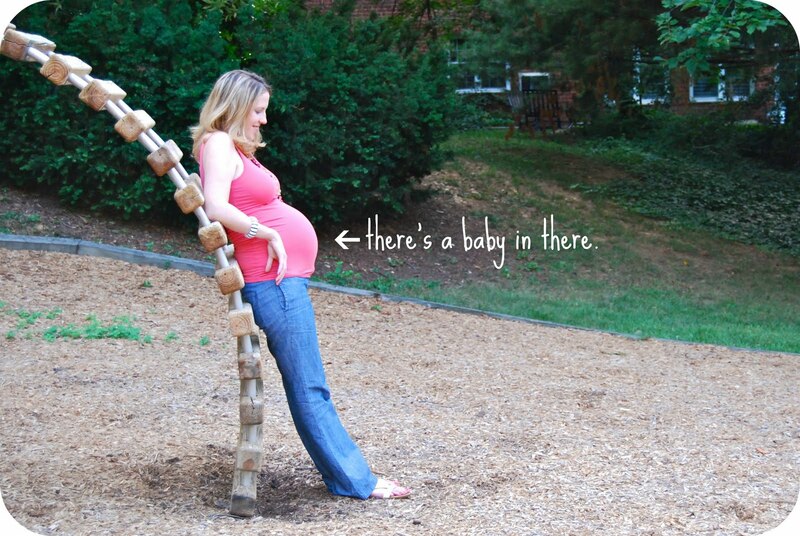 Sit in the nursery and get excited for the baby you'll still hold in there. This is such a sweet, honest, helpful post, Laura! I love it. Great post! When my sister was pregnant so many people were giving her all kinds of things. She got so many baby play mats and clothes. Even rocking chairs. She had like 4 at one time.